You may have been hearing about all the snow here in the southeast, and I must say I think I was out of town at the perfect time. Though I was on the west coast for work, I managed to get a few pictures here and there of how absolutely stunning the places I went were. The pictures won't really do them justice, but I thought I'd share some anyway. 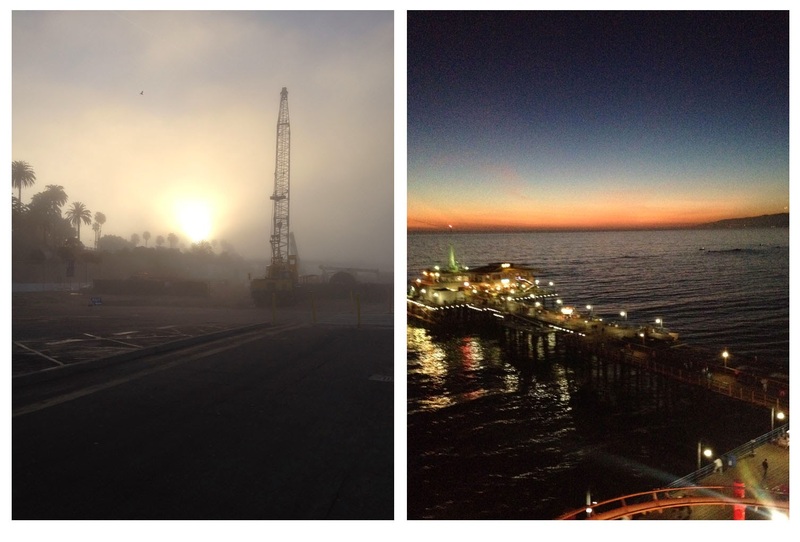 The photo on the left above was taken on an early morning run, and the mist and fog on Santa Monica beach gave everything this sort of washed out pastel look I thought was really cool. There was some construction where I took this photo, though, so unfortunately we've got a crane. The next I took on the last night my coworker and I were there when we decided we should go on the Pacific Wheel. The views obviously did not disappoint. 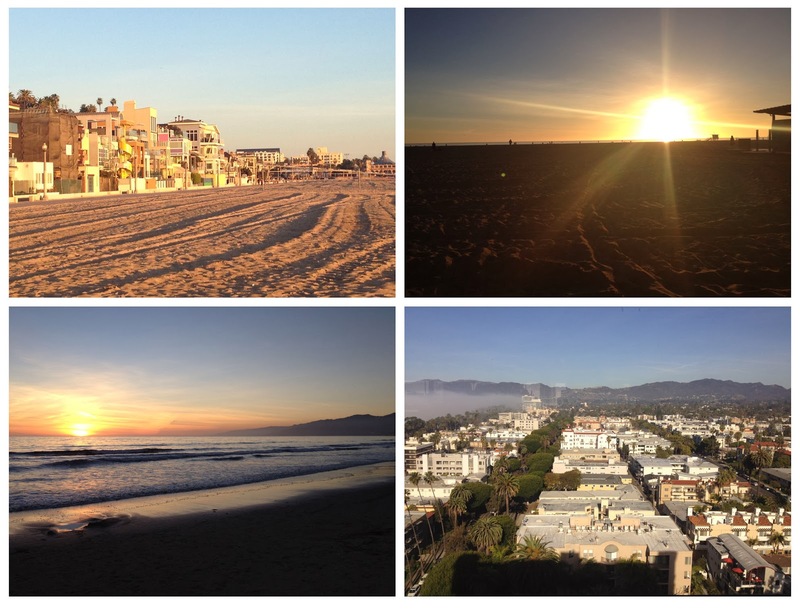 Top Left: Santa Monica Beach houses at sunset on the last day. Top Right: The sun going down on the last day. Bottom Right: My view one morning at breakfast. 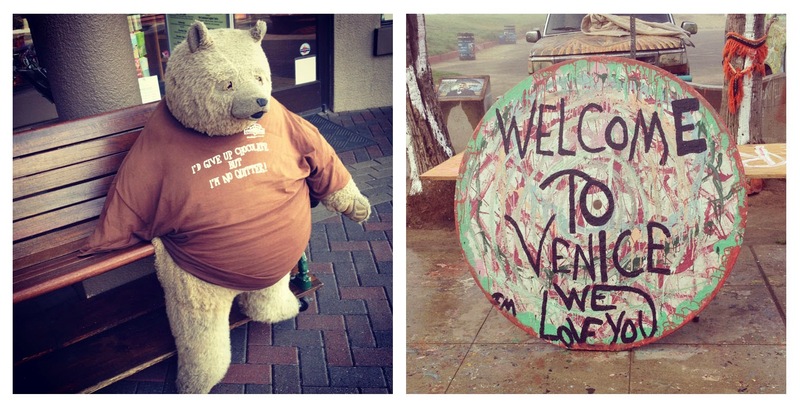 Left: A very fat teddy bear we saw in Laguna Beach. Right: The morning I went running I ended up in Venice Beach, and I felt like I should take a picture of this. I hope you all had a fabulous Valentine's Day! I, for one, celebrated by eating a gluten free freezer pizza while watching Hulu. Ah, it's a Spinster's life for me!